That's a long time, right? We have a lot to do over those months, to be sure. Loads of socialization and the training of thirty CCI commands. And a bit of falling in love with the puppy. Just kidding. We adore this amazing critter. Who wouldn't? 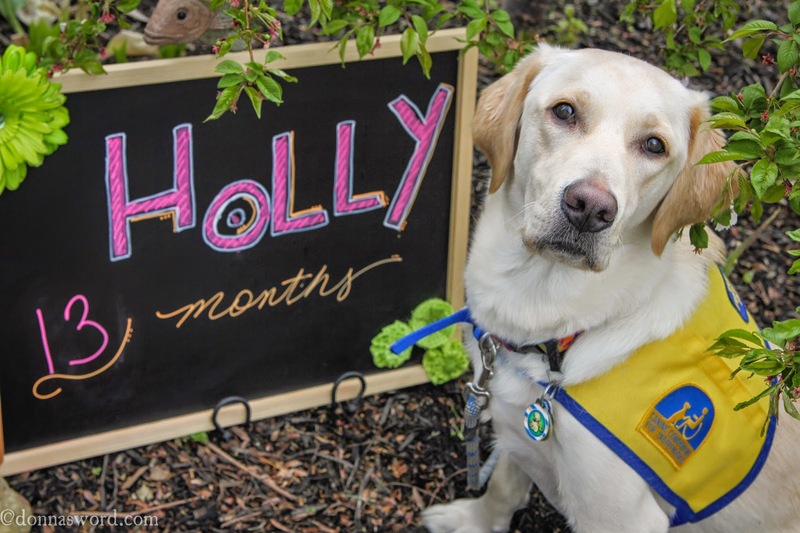 So even though I train Holly with her destiny in mind, I don't usually start thinking about the countdown to turn-in time until somewhere after the puppy's first birthday. 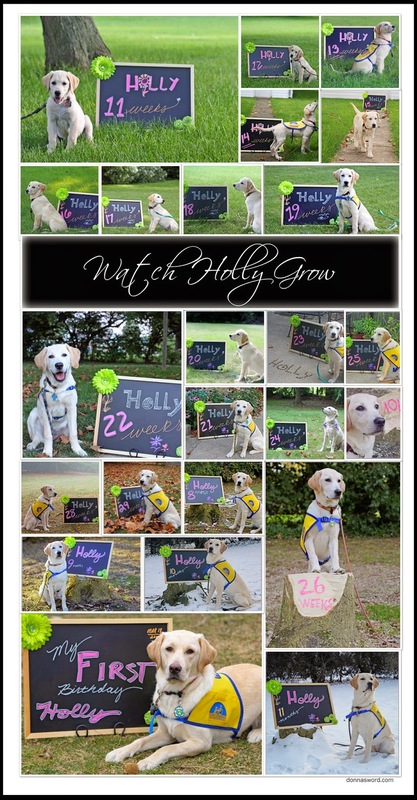 Holly's matriculation to CCI's Advanced Training Program will be in November this year. Well, by my finger count, that's seven months from now. We have a whole summer and most of the fall season to go. Not bad. We'll keep plugging along here and see if we can reach proficiency on these commands of hers. And I'll just mark the calendar for another day to worry about turn-ins and the good-byes and good lucks that all go together. Love the pictures.....wonderful thing to do!!!! Super cute! I love the photos. The pictures is very cute. I really love it.